I got Air Droid, installed it, created an account, and tried to get it to work. I cannot see either my android phone, or tablet. It doesn't work. It would be so nice if it did, but it's been searching for android devices for a long time now and not seeing either of them sitting right there on my desk, so I'm really not at all impressed with it. It's saying only devices in the same network will be available. What network is that? I have no clue. I'm about to toss this thing in the trash bin. As far as I can tell it's worthless. It can't see two android devices right there less than two feet away. Pretty sorry stuff in my book. Both my new phone and my tablet are on my WiFi network, I don't know what other network it wants, that's all I have. Did you sign in to AirDroid app on your phone? And use the same AirDroid account to sign in to AirDroid Win/Mac/Web? Can you send me a screenshot of the error message? 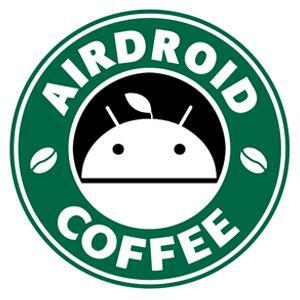 Martina wrote:I got Air Droid, installed it, created an account, and tried to get it to work. I cannot see either my android phone, or tablet. It doesn't work. It would be so nice if it did, but it's been searching for android devices for a long time now and not seeing either of them sitting right there on my desk, so I'm really not at all impressed with it. It's saying only devices in the same network will be available. What network is that? I have no clue. I'm about to toss this thing in the trash bin. As far as I can tell it's worthless. It can't see two android devices right there less than two feet away. Pretty sorry stuff in my book. Both my new phone and my tablet are on my WiFi network, I don't know what other network it wants, that's all I have. Yep, same here! It simply doesnt give any option that I can see to transfer a photo to my PC! Mybe win7 vs S4 mini are just incompatable with this app? Also be nice to have some instructions!